Rodney Smith Jr. is on a mission to travel the world and mow the lawns of people in need everywhere he goes. Rodney Smith Jr. lives in Huntsville, Alabama, but this weekend he’s in Tampa. He drove all this way, not for a vacation, but to mow people’s lawns for free. Smith is the founder of “Raising Men Lawn Care Service,” a nonprofit group committed to giving back to the entire country and providing help to those in need. He found his calling over three years ago when he stopped to help an elderly neighbor who was struggling to mow his lawn. What started as one act of kindness quickly grew into so much more. To date, Smith has mowed over 2,000 lawns. 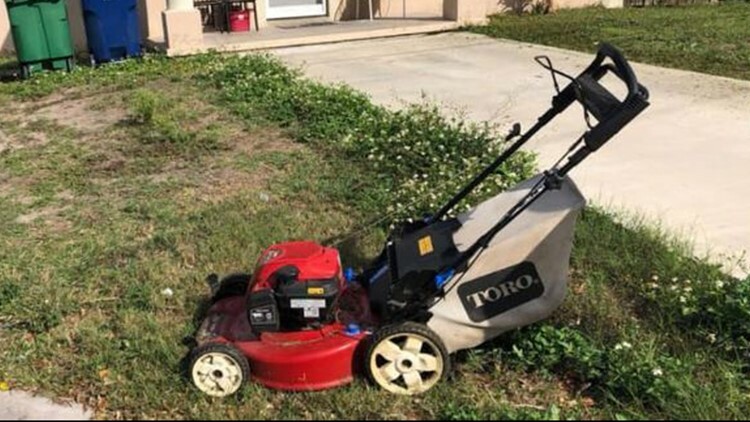 On Saturday, he was able to mow four lawns in the Tampa Bay area, all for residents who needed his help. Smith has used his lawnmower to trim more than 2,000 lawns for free. “I recently got injured on the job, so money is kind of tight right now. So I appreciate, I really do appreciate him,” said Sitrena Candela as Smith cleaned up her yard. This summer Smith will be headed overseas to complete his "7 Continents, 7 Lawns," challenge, a step he is both excited and ready for.